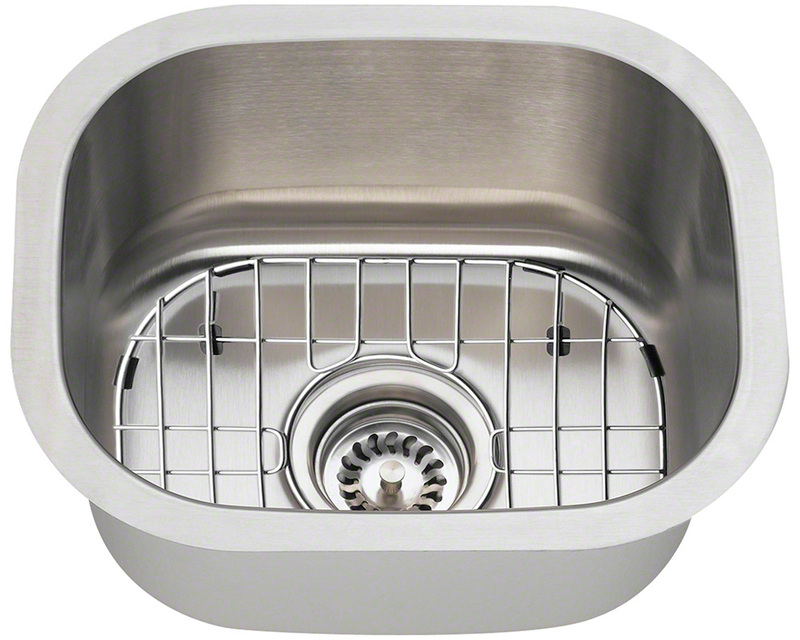 The P2151 Kitchen Ensemble includes three exciting accessories: a beautiful wood cutting board which is custom-fitted to the bowl, a stainless steel grid to protect the sink's surface, and a durable strainer to catch random food scraps. 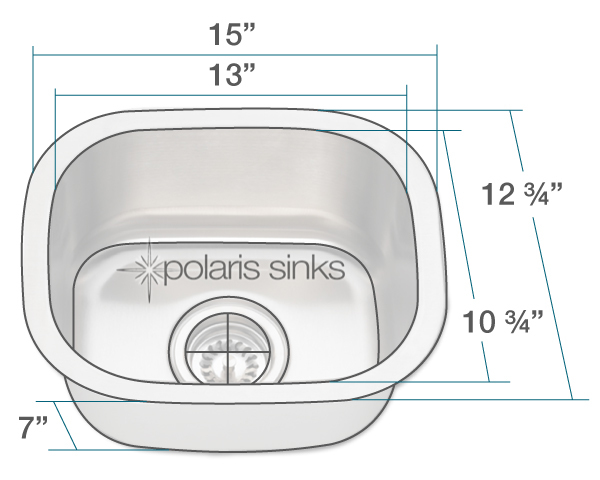 This single-bowl, stainless steel sink is designed to enhance any bar area or small kitchen. As an undermount style, it can be installed with a positive reveal or flush with the counter, but a negative reveal will prohibit use of the fitted cutting board. Condensation is prevented by the full insulation, and noise is reduced by the sound-dampening pads. It is constructed of premium 304-grade stainless steel, 18-gauge, and comes with the Polaris limited lifetime warranty.